Halo 5: Guardians Review | Nerd Much? Halo 5: Guardians provided a much-needed refresh for the Halo series following several lackluster releases. It contains all the core elements fans have come to expect from the franchise, with a slightly updated feel courtesy of 343 Industries. 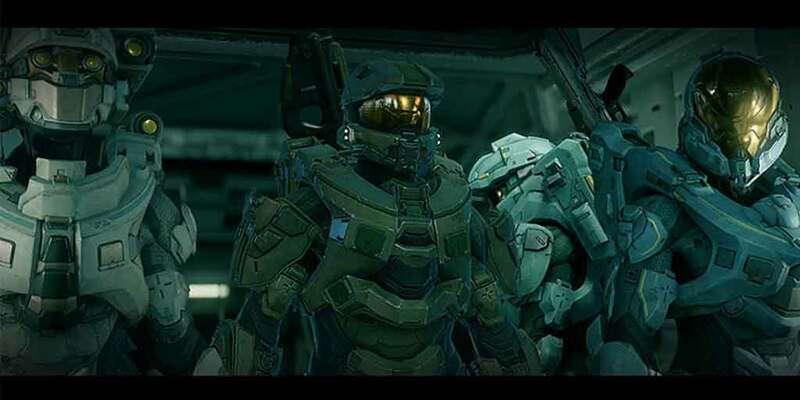 For example, players spend a good portion of the game playing as a new character — Spartan John Locke — and hunting down the rogue Master Chief. (Not to mention the voice and likeness of Nathan Fillion). Let’s talk about the graphics. Visually, this game is absolutely stunning — probably the best-looking game I’ve seen for Xbox One thus far. Of course, this is to be expected from such a central franchise, but it definitely bears acknowledgment; I was consistently blown away by just how good it looks. And if you’re worried that the top-notch graphics will detract from gameplay, don’t — I found it to be incredibly smooth. The levels are linear but well-balanced, and the maps often require you to use the new ledge-climbing function. The soundtrack is, of course, on par with what we’ve come to expect from the Halo franchise. The music returned to a more iconic Halo feel, bringing back the monk-style chanting, after the experimental (and unpopular) soundtrack of Halo 4. 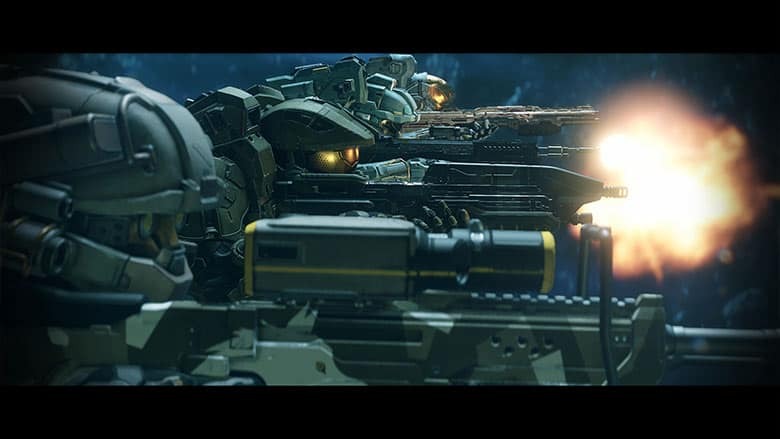 There was some apprehension, as 343 decided to go with in-house composer Kazuma Jinnouchi, but the music is as haunting as ever. The audio is spectacular overall, with sound effects that really immerse you in the heat of battle. In addition to the classic weapons that we’re all familiar with, there are a few new ones added into the mix. The limited availability of ammo ensures that you have to switch up your weapon often, adding a dynamic element. There are new combat mechanics as well, which enhance gameplay without over-complicating things. For example, when your shield is depleted, members of your team can revive you (provided you don’t die in a fiery explosion or fall off the edge), reducing the likelihood of rage-quitting. You can also use the left trigger to aim down the sights with any weapon, similar to Call of Duty, and perform what’s known as a “ground pound”, which seems fairly useless. I also wasn’t a fan of the combat-free areas, where you had to walk around and find people and listen in on conversations. They were dull and interrupted the flow of the game. Halo 5‘s story was rather straightforward, but never boring thanks to the updated gameplay; in addition, the characters were far better developed in this campaign. Each character, far from being an anonymous suit of armor, has a personality and backstory that adds to the game. Guardians does assume that you know the lore and backstory of the universe, though, so familiarize yourself if you haven’t already. It also ended on an enormous cliffhanger, leaving the way wide open for a Halo 6. After this installment, I’m very interested to see what 343 has in store next. As for multiplayer, it is a vast improvement over the disastrous Master Chief Collection. The standard variants are all present, although the large variety of game modes that Halo is known for is conspicuously absent (no King of the Hill or Big Team Battle), although developers may plan on adding them in future patches. For now, they have chosen to focus their efforts on Warzone – a large-scale 12v12 battle spanning larger maps, with added AI enemies and multiple objectives. It may very well be a worthwhile trade-off. The new combat mechanics, which may feel superfluous in the campaign, really add a new dimension to multiplayer. The biggest drawback, in my opinion, is the lack of local multiplayer; don’t plan on any Halo 5 gatherings with your friends. This may not be an issue for everyone, and we’re not going to let it factor into our overall Halo 5 review score, but in a household where my husband and I would both like to play and game time is limited due to children, it’s a major downside (because who can afford a second console?). We’ll just have to take turns.